10to8 is an online scheduling and appointment reminder software that allows business owners to easily manage appointments with their clients. With its automatic reminder feature, the software claims to reduce no-shows by 90%. Ready to try 10to8? Get a free trial. Users who gave 10to8 a positive review mentioned how fast and easy it is for them and their clients to schedule an appointment using the software. Others also love their SMS appointment reminders, syncing of calendars, and affordable pricing. Users who gave 10to8 a negative review complained about the late responses of its customer service representatives. They also mentioned that the software has limited personalization options. One user who gave 10to8 a negative review on Capterra said that the company has poor customer support. He shared an incident wherein it took them several days to reply to his concerns and that it took a week before his problem was resolved. *10to8 bills monthly, so even annual plans will be billed on a month-to-month basis. 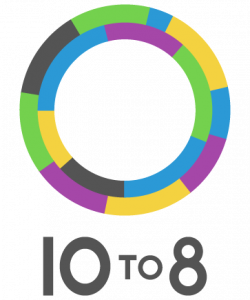 Ready to try out 10to8? Get a free trial. 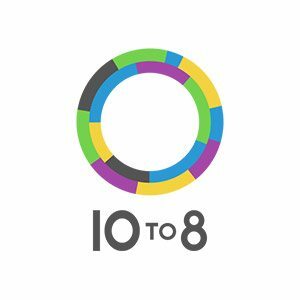 Does 10to8 offer a free trial? Interested users can enjoy 10to8’s Basic, Grow, Bigger Business, and Enterprise plans’ full features for free for 30 days. 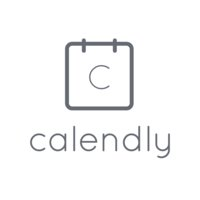 Can 10to8’s appointment calendar sync with the user’s calendar? 10to8’s online appointment calendar syncs two-way with Outlook.com, Office 365, Exchange, Google Calendar, and Apple iCal, so users don’t need to book on separate calendars. Not sure if 10to8 is the right fit for you? Read our reviews of all top appointment scheduling software providers or check out one of these three 10to8 competitors. Really useful app. It’s saved me a lot of time, is very versatile and user friendly. It’s all good. Only one thing is that it sends the client a confirmation before I have confirmed the appointment. Everything else is brilliant. Great customer service, great price, great software. I have not had any issues with the company or the software. 10to8 works really well for someone like me who has a small business and limited clients. I appreciate 10to8’s capacity of 100 appointments a month as part of the free plan. I have considered upgrading numerous times and the only thing that prevents me from doing so is my very small practice. Currently, it does make sense to upgrade. I appreciate the ability to send reminders to client up to 2 hours before an appointment. For my line of work, it has helped tremendously to be able to remind a client of an appointment. Busy lives often lead to people forgetting appts. I like that clients can respond via message if they need to reschedule or cancel when they receive a reminder message. I am able to book from my mobile device which is convenient. Calendar integration is great! Because I have the free plan, I am not able to customize my reminders. It’s not that this is doesn’t well, I just wish I had the ability to customize. Accessing 10to8 from my mobile device isn’t the easiest when considering doing more than scheduling appointments. The setup is best used on the computer in my opinion, however, you are able to access the site from a mobile device. It would be nice to be able to get a response back via SMS when clients respond to reminders. That may be available in upgraded plans, I have not researched that. I’ve used the service for close to a year and was able to get all the information I need and wanted prior to signing up. I’m happy with my service. The program is easy to set up and use, and the confirmation and reminder texts to clients have been very effective in preventing no-shows. I have the free version and even at that level my scheduling page looks very professional. There’s a slight delay with response time, but overall I’ve been pleased with customer service response whenever I’ve had a question. I’m not sure if it’s the program or my clients, but, when clients want to reschedule their appointment, I’ve had to personally change it for them because they can’t figure out how to do it online. I researched several companies before deciding to go with 10 to 8, and I’m pleased with my decision. No surprises, everything was as I expected! This was the only online scheduler I found that was both free and allowed me to accept payments. The interface isn’t quite as intuitive as I’d like, and I forget often which setting is under which menu item. I have many online phone calls to book and I wish I knew that 10to8 won’t send out the link to my online video conference room without upgrading to the paid program.